For many years the professional team at Booom Property have been entrusted with the sales and management of hundred’s of properties ranging from Brisbane to the Sunshine Coast and Gladstone. Ask Booom Property. Here at Stewart Property, we have extremely strong team behind us that provide exceptional support. You can seriously expect the very highest standard of representation that the industry has to offer. Our sales team have what I believe to be the best back up department on the Coast. Stewart Property is headed up by Vicki Stewart who has been selling Real Estate on the Sunshine Coast since 1989 and has an exceptional reputation of never giving up. This work ethic is the foundation to the success of Stewart Property. It’s your first time investment in Sunshine? At harvesting Group our trusted property manager at Sunshine Coast will guide you in a best manner possible to reap maximum benefits. We deliver quality floor plans fast to real estate agents and vendors looking to optimise their property marketing. 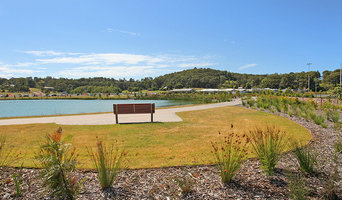 Blue Moon Property Nambour is the fastest growing real estate company offering plenty of houses for sale or rent on the Sunshine Coast. We believe it is an honour and a privilege to be trusted with the sale or management of usually the largest asset owned by a client. In return, we ensure you receive the best personal service possible including professional photography, eye catching window display, vibrant signage, top positions on web-sites, multiple open homes and arguably the best negotiation skills to achieve success for you. Headed by Principals Paul and Lisa Angell, the dynamic, close-knit team at First National Coastal are committed to achieving outstanding results for sellers and landlords alike. Our strong market presence, innovative approach to strategic marketing and dedication to client satisfaction has seen us succeed time and time again. Our award winning agents are driven to excellence by our strong culture of integrity and shared passion for the industry. Providing real estate services ranging from residential sales, rental property management to commercial property sales and leasing, we can help you with all your real estate needs. To learn more about the best opportunities in property across the Sunshine Coast region give us a call today on 07 5443 3377 or 07 5444 0800. RealConnect is a unique independent real estate company which connects residential & commercial property owners & investors to real estate agents and property managers. We operate Australia wide & have registered agents waiting to offer their services from most areas across the country. We have a keen passion to create an easy to use, low cost system to benefit everyone dealing in the real estate industry. We aim to increase profits for property owners as well as real estate agents by lowering the business expenses for the agents and allowing them to offer the same service to property owners for less. Find & Compare Real Estate Agents 100% Free! We help you find Property to Buy or Rent & also to find the best Agents to Sell or Rent your Property. 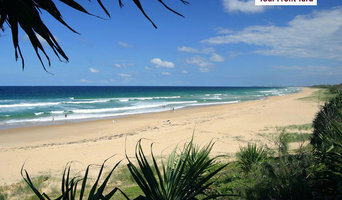 Are you looking for investment property in Brisbane, Sunshine Coast and Gold Coast area? Invest Property Solutions is an expert when it comes to high performance investment in Brisbane, Sunshine Coast and Gold Coast. 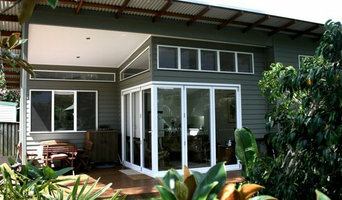 Get the new house and land packages, contact us now at +61 7 5437 6851. 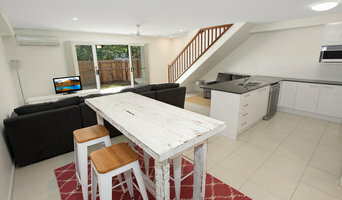 Our expert property managers in Nambour appreciate that your rental investment properties are investments in your future. First and foremost is must be producing it's maximum income and most importantly it must be protected. Real Estate is a complex and dynamic area of work that demands experts to stay informed about rules and regulations as well as the Sunshine Coast, Queensland market. As you can imagine, agents and brokers vary as much as the properties they sell. You'll need to be as savvy in selecting a realtor as they are in getting you the best price. What Does an Agent or Broker Do? Although the terms “agent” and “broker” often are used interchangeably, they’re not the same thing. Generally, a broker must have more specialised education as well as licensing, and as a result is legally authorised to execute a real estate transaction. Brokers usually play a more administrative role in the real estate process. An agent, by contrast, is a salesperson hired by a broker to interact with and handle the legwork for the clients. When you're looking to buy a home, a buyer’s agent represents a home buyer or seller in a real estate transaction. A buyer’s agent will find Sunshine Coast property listings that match your needs, works with the seller’s agent to schedule showings and accompanies you on visits to tour the home. If you’re interested in the house, the agent handles price negotiations and other terms of the sale, and coordinates the appropriate paperwork. If you are engaged in a home sale, a seller’s agent will help you determine a listing price for a Sunshine Coast, Queensland property and can suggest repairs, upgrades and staging ideas to boost the home’s appeal. He or she is in charge of marketing the house to prospective buyers and other agents through signage, websites, print ads, open houses and other methods. As with a buyer’s agent, a seller’s agent represents you in negotiating the sale. Do you work full time or part time in this business? Do you represent buyers or sellers exclusively, or both? What are your professional affiliations? For sellers: How will you market my home? For buyers: How will you find homes that might interest me? Have you had recent sales in the neighborhoods that I might interested in? Will I be working with anyone else? Find an agent or broker on Houzz. 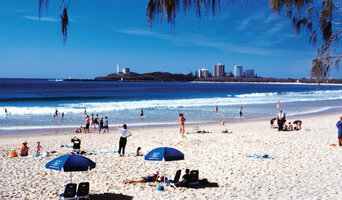 Narrow your search in the Professionals section of the website to Queensland agents and brokers. If you’re in the market to buy or sell a home, you may be interested in hiring other professionals as well. Here are some related professionals and vendors to complement the work of real estate agents: Home Stylists and Property Staging, Photographers.